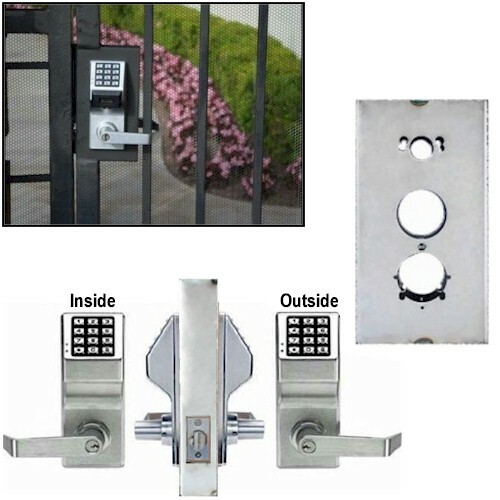 Double sided keyless gate locks. Two separate products. The Alarm Lock DL5200 double sided keypad lock. And, the K -BXSIM Keedex Weldable Gate Box. This pairing of products is perfect for outside pool gates. Pin code is needed on both sides. To enter and exit. Making it impossible to reach through gate and open inside lever. No electrical needed.